Change things up with these side-trips from Los Angeles: Anaheim (Disneyland Park, Disney California Adventure Park, & more). Pack the 4th (Mon) with family-friendly diversions at Universal Studios Hollywood. There's much more to do: see the interesting displays at The Getty Center, stop by Amoeba Music, look and learn at Griffith Observatory, and explore the fascinating underground world of Bronson Caves. Saudarkrokur, Iceland to Los Angeles is an approximately 34-hour flight. The time zone difference moving from Greenwich Mean Time to Pacific Standard Time is minus 8 hours. Plan for warmer temperatures traveling from Saudarkrokur in March, with highs in Los Angeles at 27°C and lows at 14°C. Finish your sightseeing early on the 7th (Thu) so you can travel to Santa Maria. Santa Maria is a city near the Southern California coast in Santa Barbara County. On the 8th (Fri), do a tasting at Kenneth Volk Vineyards, do a tasting at Foxen Vineyard & Winery, then learn about winemaking at Rancho Sisquoc Winery, and finally tour the pleasant surroundings at Los Flores Ranch Park. To find where to stay, reviews, other places to visit, and tourist information, you can read our Santa Maria trip itinerary site . You can drive from Los Angeles to Santa Maria in 3 hours. Traveling from Los Angeles in March, plan for slightly colder nights in Santa Maria, with lows around 9°C. Cap off your sightseeing on the 8th (Fri) early enough to travel to San Francisco. San Francisco is known for nature, museums, parks, nightlife, and shopping. 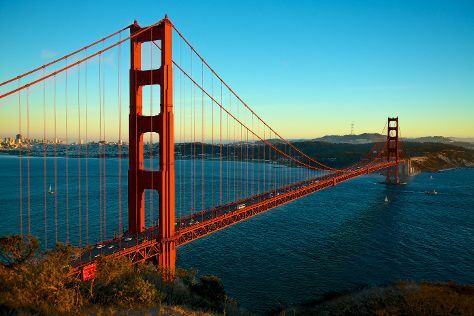 Your plan includes some of its best attractions: take in the views from Golden Gate Bridge, take in the awesome beauty at Twin Peaks, stroll through Golden Gate Park, and catch a ride on Cable Cars. For reviews, ratings, maps, and other tourist information, refer to the San Francisco trip itinerary maker tool . You can drive from Santa Maria to San Francisco in 4.5 hours. Another option is to fly. Traveling from Santa Maria in March, you will find days in San Francisco are slightly colder (21°C), and nights are about the same (11°C). Wrap up your sightseeing on the 14th (Thu) early enough to travel back home.